Every four years FIFA presents the world’s soccer fans with a magnificent, passionate, and insensitive tournament known as the World Cup. In this year’s World Cup, the United States Men’s National Team provided America with a prolific, astounding, and demonstrative ride into Round 16. Although their tournament was short-lived, the Yanks indeed managed to win the hearts of many Americans who were not familiar with the international game (my brother included). 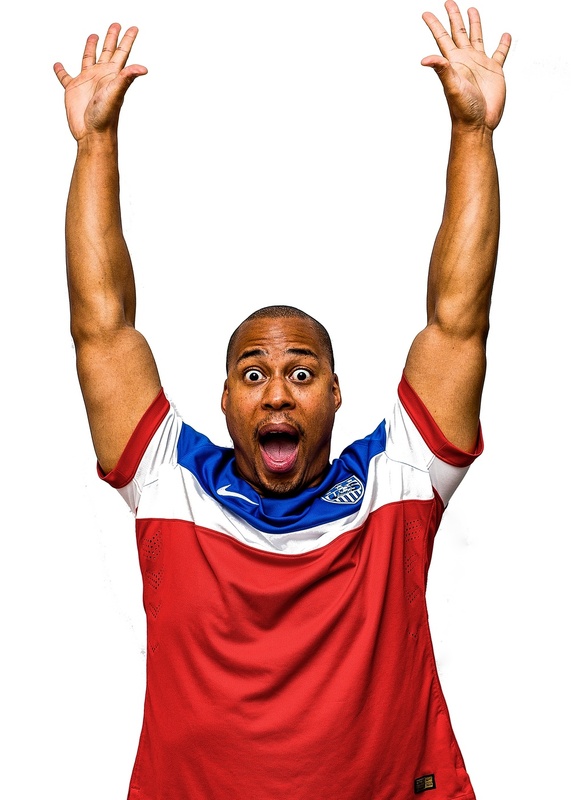 Throughout the World Cup, I photographed my emotions for each game in which the USMNT participated. As you can see, there is a wide range of emotions. Celebrating the USMNT 2-1 win over Ghana! Grimacing over a 2-2 tie with Portugal. Nobody likes to lose, but the USMNT still advances with a 0-1 loss to Germany. My face after an agonizing 1-2 loss to Belgium!